There are already several articles on the web explaining how to do this, but I couldn't find one that provided a boards.txt file that works with the latest Arduino IDE, version 1.8.X, so I created one and thought it would be useful to make it available. The following procedure works with the Arduino IDE versions 1.8 and upwards. Download the ATmegaBreadboard hardware configuration from my repository on GitHub ATmegaBreadboard. This should add an ATmegaBreadboard heading to the Board menu. Now, when you want to program an ATmega328 or ATmega168 choose Board from the Tools menu, and select the appropriate option under the ATmegaBreadboard heading. Then choose the options you want from the subsequent menus; for example B.O.D. Disabled, ATmega328P, and 8 MHz (internal). 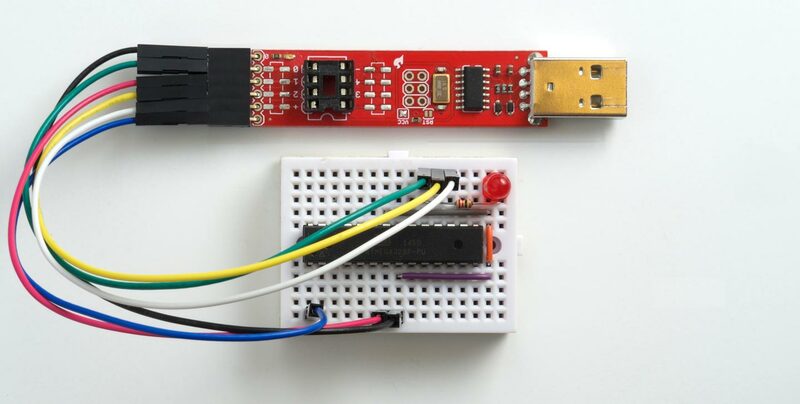 Choose the correct programmer from the Programmer option on the Tools menu; for example, USBtinyISP if you're using the Sparkfun Tiny AVR Programmer shown above. Choose Burn Bootloader to set the fuses appropriately; then choose Upload to upload the program. 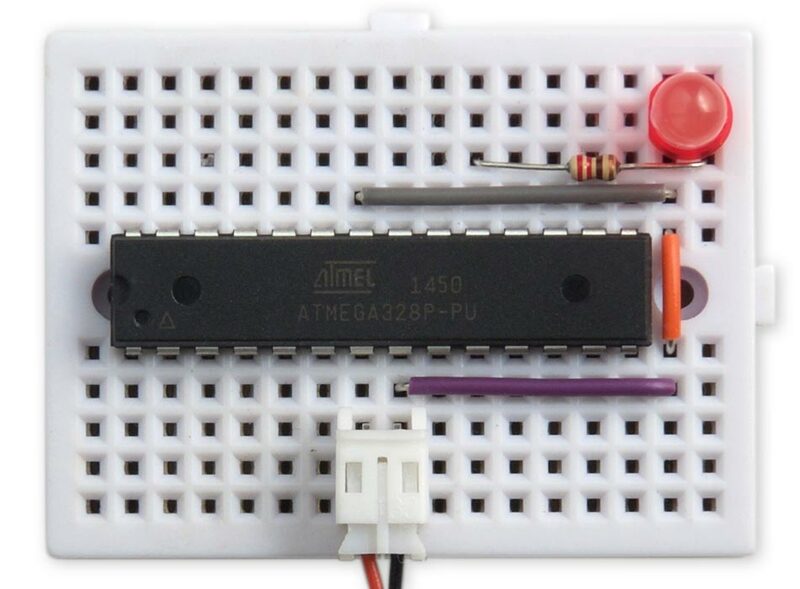 Note that if you use Burn Bootloader to program the ATmega168/328 to use a crystal, you'll have to have the crystal present if you want to reprogram the fuses back to using the internal clock.